December | 2012 | Ask Kent and Co. Happy Holidays: Here’s to a terrific 2013!! Eat, Drink and be Merry with this picture perfect starter course! Combine wine, water, sugar, cinnamon, peppercorns, honey and vanilla in a large pot. Squeeze in lemon juice, using a strainer to catch the seeds, and toss in one of hte lemon halves. Bring to a boil, lower heat, and simmer for 10 mins. Meanwhile, peel the pears carefully and rinse. Place in the hot poaching liquid and cover with a lid slightly smaller than the pot to keep the pears submerged. 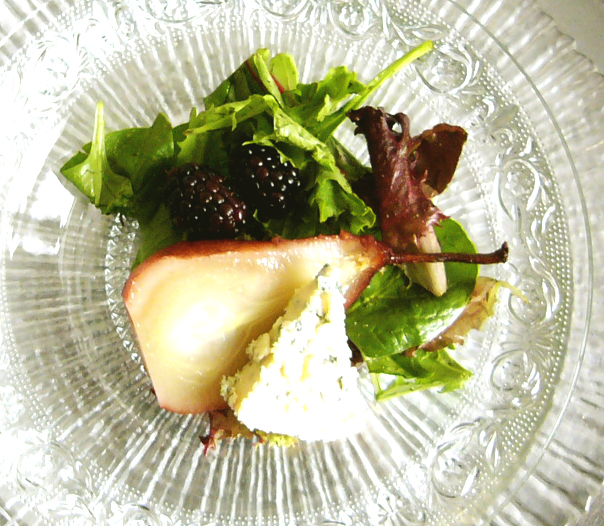 Turn the hear down to simmer and poach the pears for 20-30 mins (unripe pears may take up to an hour). Turn the pears about 1/2 way through the cooking time. Pears are done when a fork comes out clean (just like a baked potato). Let cool slightly, then transfer to a bowl. Reduce the pear juice by 1/2, then pour over the pears and store. Delicious served with a strong cheese (blue, stilton, sharp, white cheddar) as a first, or fruit course, for dessert with bitter chocolate sauce and coconut macaroons, or sliced and fanned out on herbed greens tossed with a Champagne vinegarette (add a few blackberries for added punch). 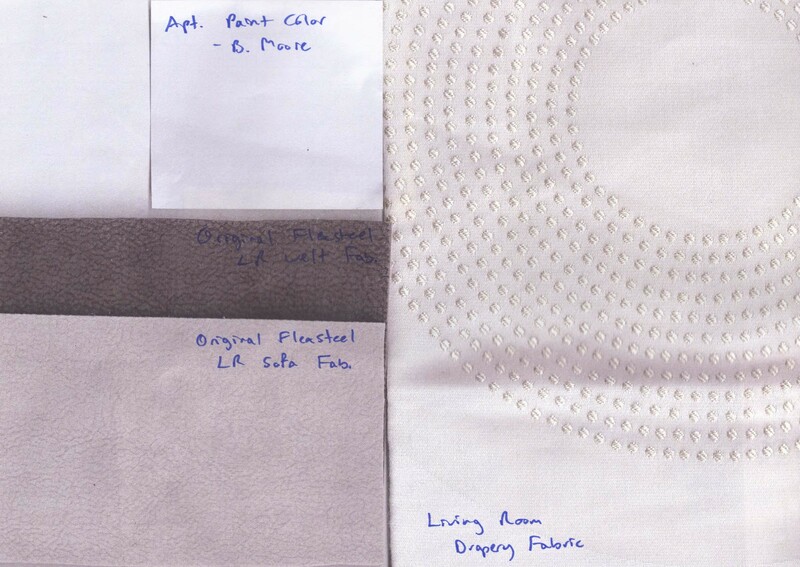 Materials for all projects are selected based on who will be using the space…how often…and for what purpose. One of the keys to an interesting design includes a mixture of surfaces, elements and textures. Do you have metal? Wood? Glass? Stiff fabrics? Soft fabrics? Leather? Pattern? Shine? Matte? Mirror? How all of these options come together and in what form (large area vs. trim vs. accent) are what give any environment a “signature” look. Happy Holidays to everyone!! As the world slows down and takes stock, we’ll be taking a break, returning January 2nd to pick up with selected options for items of furniture and accessories. Now that you’ve had a week to contemplate how you’d arrange the furniture in this room, let’s see if you came up with anything similar to the solutions we arrived at in one of the three options below? We’ll ultimately select one furniture plan and build our design up from there. Remember, these are just suggested arrangements, sizes and shapes. We haven’t chosen actual pieces of furniture yet! Next week, once a final format is determined, we’ll look at potential items of furniture, accessories and materials, i.e. 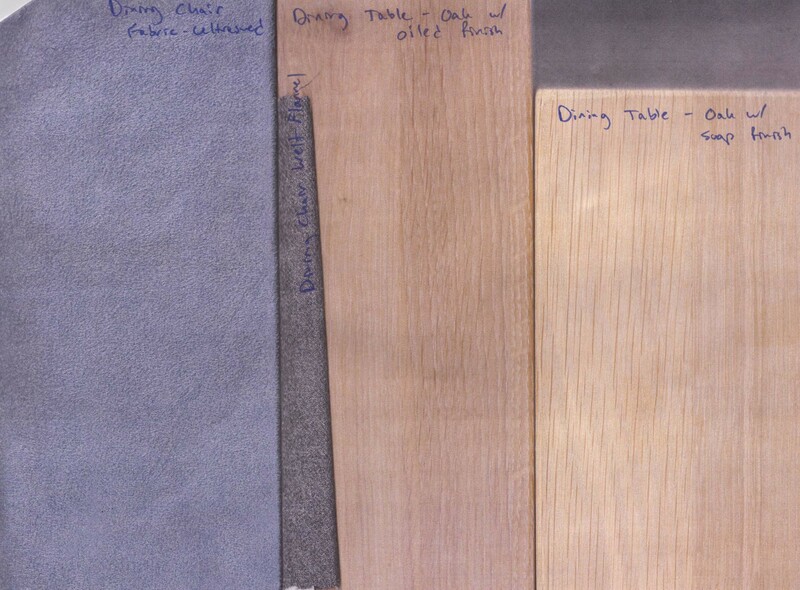 wood samples, fabrics, lighting etc. that will give texture to the space and arrangement. What colors would you choose? What textures? What patterns? Certainly MJ! It’s not smoke and mirrors, but there is a recipe, just like when you bake a cake, or when you write code for a web site or a program like Studio Designer (a professional planning tool). There are steps to follow. That’s the easy part. The more complicated bit is knowing how to select the right components to create the “best” program or the “most delicious” cake. Often that takes skill and experience. 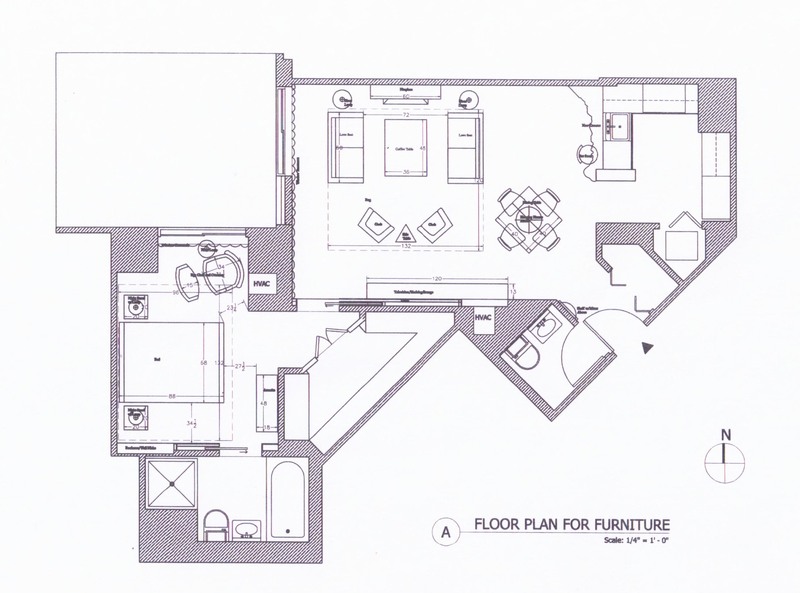 In the case of designing a room, I’ll want to be sure that the selected items of furniture fit the scale of the space. Does the arrangement compliment the size and shape of the room? Are the sofas deep enough (or shallow enough) to fit the people who will use the room the most? Are there small children or pets? 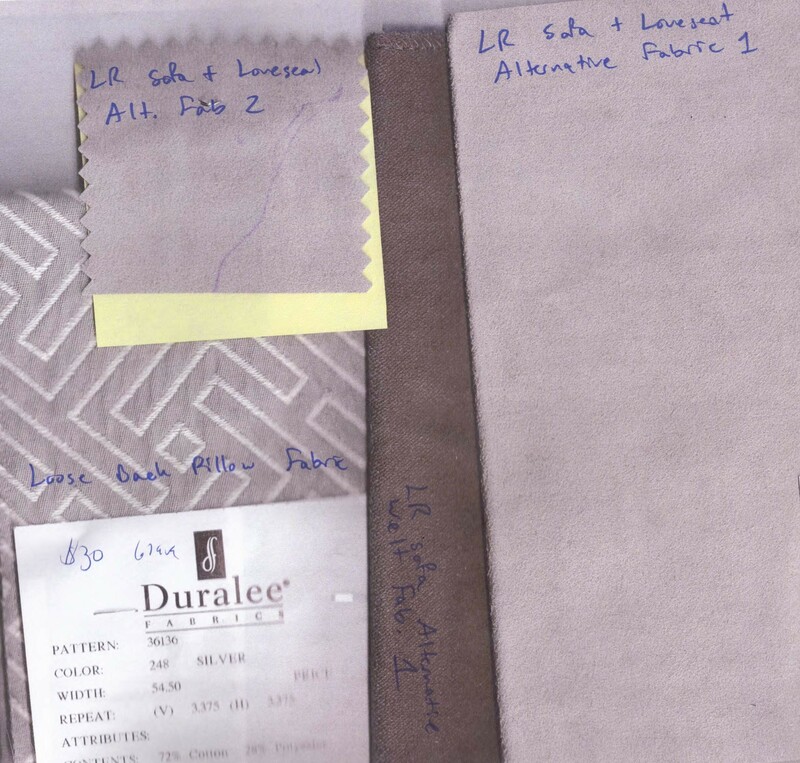 Does the project require durable fabrics that can hold up under hard wear? Or is this a lightly used space where the fabrics can be more delicate? There’s also lighting, traffic patterns, HVAC units and windows to consider! That said, let’s begin with step one and see how a project comes together. 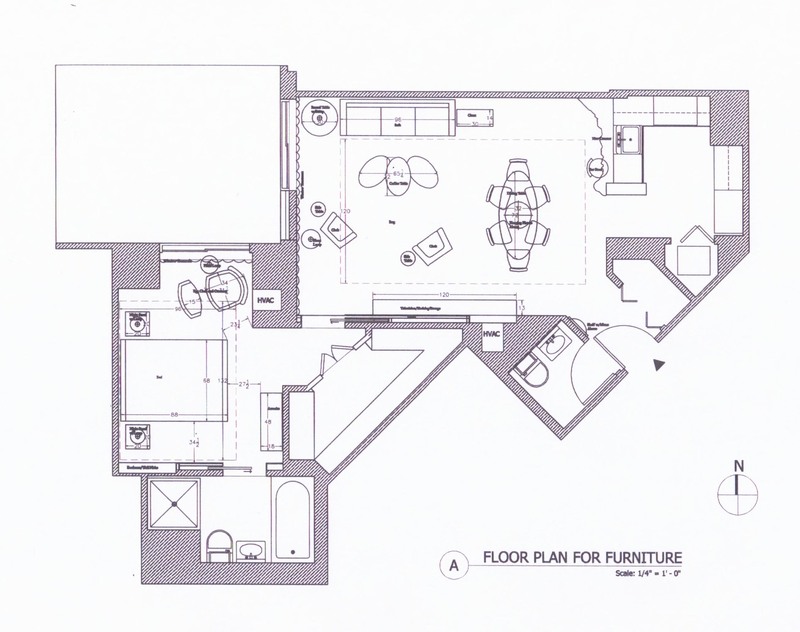 Today, let’s consider the floor plan. What would you do here? 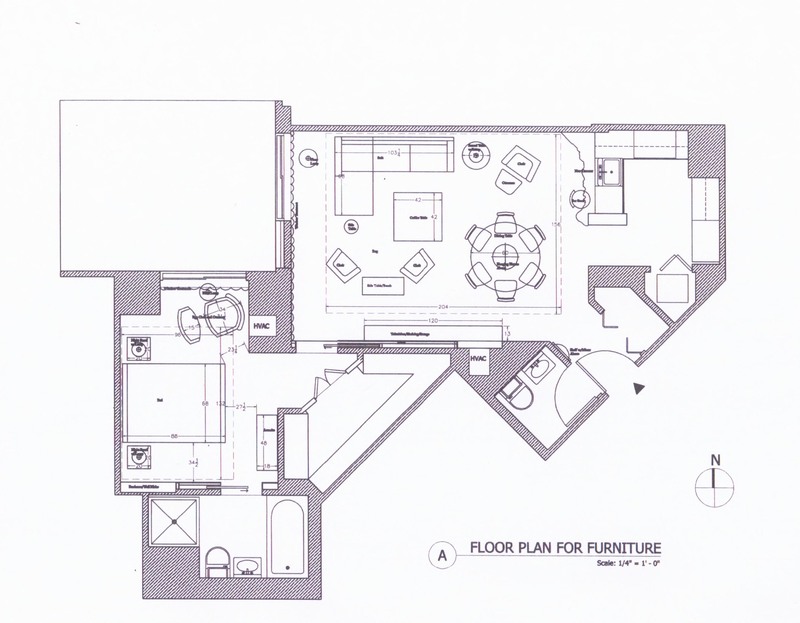 Give it some thought, and let’s see if YOUR solution matches OUR solution when we post the furniture plans next week!